What is camp like? All Saints Summer Camp is a lot of fun! 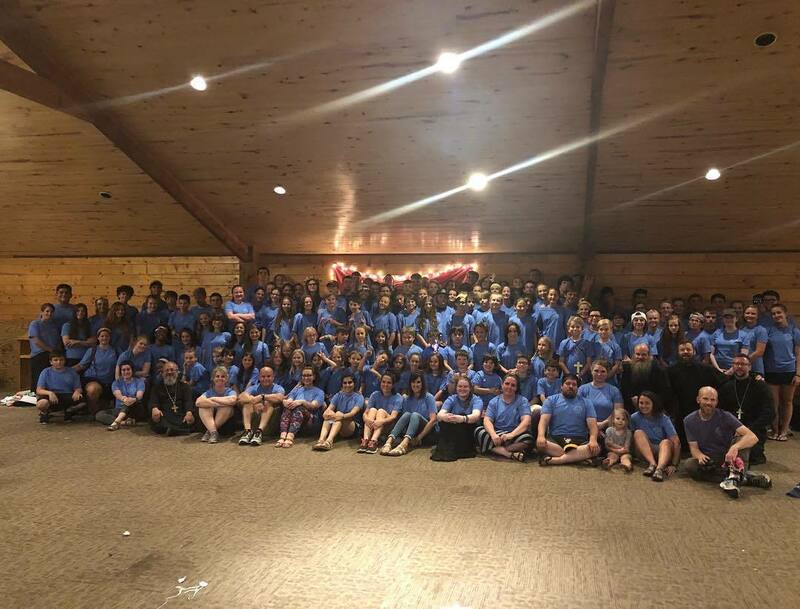 We begin and end with morning and evening prayers, Divine Liturgy on Thursday, compline at nights, breakout sessions with Priest, Lagoon, swimming, gaga ball, ropes course, team events and skits. How old do you have to be to attend? All Saints Summer Camp is for campers aged 8 to 18! Are their scholarships available? Hopefully! We will have more information on scholarships as Summer Camp approaches. Many of our campers receive scholarship assistance from their local churches. Some missions and parishes even do fundraisers to help offset the cost of camp. Talk to your priest to see if there are any funds available to help with camp. What about counselors and chaperons? There may be a need for additional counselors. Please contact Fr. Jason if you are interested. Is the retreat pan-Orthodox? This camp has been organized by the Dallas Deanery and Mississippi River Deanery of the Diocese of the South, but we heartily welcome the participation of Orthodox young people from other dioceses and jurisdictions. Each year we have campers from the GOA, AOC, ROCOR and the OCA in attendance. What about medical exams? Complete the medical questionaire when you signup. Probably be a good idea to have a camp physical done by your doctor and say you are good to go. That is up to your parent. Note - if you completed a summer camp medical form and you do not have any new medical issues or medications please let us know as we probably have it on file already. How do I pay for the retreat? Mail in a check made out to Holy Nativity (in the memo section note All Saints Winter camp) or pay online via our site (it is better for the camp is you mail a check to us or bring cash). What do I need to bring? An email will be sent out to you covering all you need to know about the retreat and what to bring. For an overview review the information on the Camp Consent Form. It list what you need to bring to winter camp! (In short - sleeping bag, toilitries, bible and appropriate clothing for games and church). Who do I call with questions about Summer Camp? Fr. Jason Foster 318-455-4219.